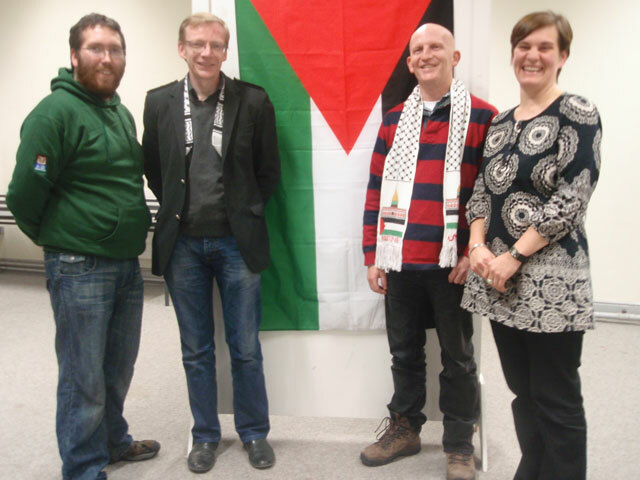 Mayo Intercultural Action (MIA) in association with GMIT Castlebar Students Union has invited Ballina man, Derek Graham, to Castlebar to discuss his recent experiences in Gaza. Derek is a member of the Free Gaza Movement (FGM), a human rights organisation dedicated to highlighting the suffering of the Palestinian people in the Gaza strip. He has made many trips to Gaza on board boats bearing much needed medical aid. The Free Gaza Movement (FGM) has made 5 successful trips to Gaza. On each trip there were Irish citizens on board - a great achievement given that the country is so small and the boat trips represent the whole of the international community. On the third trip two Irish TD's, Chris Andrews FF and Aengus O’ Snodaigh SF, were on board. The boat has also made two unsuccessful trips, both of which were attempted during the latest conflict. On the first of these two occasions the boat was severely damaged when it was attacked and rammed by Israeli Gun boats. The crew and activists on board were lucky to survive. A new boat was found but due to serious treats from the Israeli navy this latest trip could not reach the people of Gaza. The FGM are in the process of organising further boat trips to carry medical aid in to the Gaza Strip. Derek will be in the Michael Davitt Meeting Room in the GMIT on Monday 9th February at 9pm. All are welcome – Fáilte roimh chách. Further details are available from MIA at 094-9044511 or GMIT Castlebar Students Union at 094 904 3162.